The day has come, after years of waiting, to see our little baby boy. We have picked some names but won't announce anything until we have seen him. Kisses from Lyon, lots to do. Oh, Lucy, I have tears in my eyes! CONGRATULATIONS!!! Can't wait to hear his name and see pictures. Thrilled, absolutely thrilled for you two! Can't wait to hear how your day goes. I'm so excited for you! Can't wait to hear all. Oh, I am so excited and happy for you! Congratulations! I can't wait to see and hear about the new addition to your family! Blessings to you and your family and wishing you lots of love! Congratulations to you both! My little boy turns 18 in 3-1/2 weeks but I can remember my first look at him and first holding him in my arms like it was yesterday. You are in for the most wonderful adventure of your lives. Oh, Lucy! So very, very happy for you. Wonderful news. Please post a photo of his hands sometime. I just love babies' hands! Congratulations, Lucy! I'm so thrilled for you...can't wait to hear the name! Congratulations Lucy. I feel weepy. You have so much to look forward to. Our son is now 30. Raising him was our greatest joy. Ooh, I'm excited for you! Sending many happy wishes your way. Cheers! Congratulations and best wishes - glad to be the first here, and proud. Oh congratulations. I am so happy for you and your new family! Many kisses back and for that little boy. So very happy for you. So thrilled for you, Lucy and Loic. Congratulations. Heaven is the joy of that first gaze into you baby's eyes. Yayayayay! Congratulations! Can't wait to see a pic of his sweet face! Congratulations! 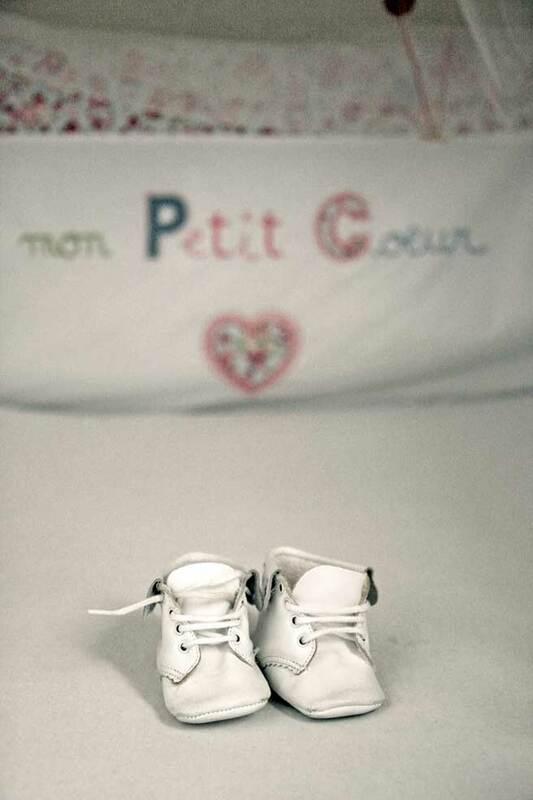 Much love,joy and happiness awaits you and Loic, parenting is one of the best experiences in life. It's a wonderful day to greet a baby! We greeted our first on May 18th twenty-three years ago. Ooooh, I've been on pins and needles waiting for this day! Every time I've seen a new post from you, I've wondered if it's going to be THE one! And now THE blog post has finally arrived! Congratulations to you both! I'm so thrilled for you! Oh hurray!!! Blessings and love to you and your family, Lucy. I am thrilled for you! Best wishes to you and your family. Félicitations à vous et à votre époux! Blessings on such a wonderful new joy! Hi! My friend Geli sent me over to celebrate your news. I posted a picture of me seeing our daughter for the first time on my Mother's Day post a few weeks ago. God bless you as you finally walk in the role of Mommy. There is nothing like it. Lucy and Loic, we are very happy for you! Parenting has been the best adventure of my life, and even though our two sons are in their 20's now, the adventure continues in all kinds of unexpected and heart-full ways. There may be a few hard times here and there, but take a deep breath, draw on family and friends, and be kind to yourselves, too; it will all work out. Joy to you! Congratulations Lucy! A thousand welcomes to your precious, sweet addition. You two are going to be wonderful parents. Enjoy every moment. xo~m. Oh happy, happy day! Am so thrilled for you! What joy! Lucy - What great news . . . Yes, your life will change but only for the better. Ann must be thrilled for you - I hope she's flying over soon. When you bring votre petit to the lake, please stop here at Circle Rd: we're still a baby-friendly house. Delighted for you, Lucy. What joyful news. Oh, Lucy and Loic, I am so glad to hear this news. I've been busier than busy and have let weeks go by between my visits here, but have thought of you during my to-ings and fro-ings and have hoped things were proceeding apace. That welcoming bed, those waiting shoes---what a wonderful homecoming!! I wish you a lifetime of Boy-Joy, and may your hearts always be as brimful as they are today. Oh, my goodness, Felicitations and congratulations from Wisconsin, dear Lucy! Life has just begun anew!